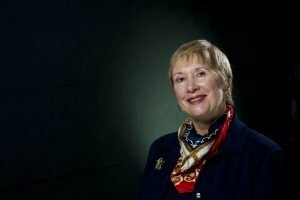 Major General (Ret) Gale Pollock CRNA FACHE FAAN has been selected to be the 2017 recipient of the Invisible Disabilities® Association’s Invisible Heroes® Award. She has been chosen based upon your positive impact on the lives of veterans currently as a Medical Adviser on numerous frontline health organizations such as CereScan and The Coming Home Project and as a veteran and nurse yourself. In addition, General Pollock’s great work as the former Commander of the U.S. Army Medical Command, former Acting Surgeon General of the Army, and former associate professor at the University of Pittsburgh Schools of Medicine and Nursing have helped bring much needed visibility and support to veterans living with PTSD, TBI and other invisible wounds. A continual learner, General Pollock became a certified nurse anesthetist soon after her graduation from the University of Maryland. She has a Master’s degree in Business, a Master’s degree in Healthcare Administration and a Master’s degree in National Security and Strategy. She received an honorary doctorate from the University of Maryland. In 2008, she established the Louis J. Fox Center for Vision Restoration and was an associate professor at the University of Pittsburgh Schools of Medicine and Nursing. In 2011, General Pollock became a Harvard University Fellow in their “Advanced Leadership Initiative”. General Pollock serves on multiple advisory boards and is the owner of Pollock Associates, LLC. She is a Fellow in the American College of Healthcare Executives, the American Academy of Nursing and the National Board of Corporate Directors. Her passion is improving the quality of lives of those with vision loss. To escape and rejuvenate she spends time hiking, biking and kayaking with her husband, Doug and Ambassador guide dog “Cruiser.